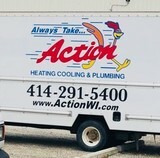 At Action Heating & Cooling we pride ourselves on being the BEST. We hire only the friendliest and most professional technicians with decades of experience. HVAC work can be complicated, so our highly skilled technicians always take the time to ensure that our customers understand and are comfortable with the work being done. Capital Heating & Cooling of Menomonee Falls, WI is the premiere provider of HVAC services throughout Southeastern Wisconsin. We provide expert HVAC installation, repair and maintenance services for both residential and commercial buildings. Our heating and cooling professionals have over 20 years of experience identifying solutions to fit your precise needs. Our reputation for 100% customer satisfaction offers you the assurance that our technicians will go above and beyond to meet your needs and ensure the environment inside your home or office is at the highest quality. 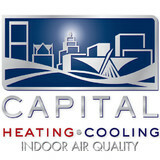 Capital Heating & Cooling of Menomonee Falls provides Quality Service at a Fair Price! n 1981 W.J. Rozga Plumbing Company was started in the home of owner Bill Rozga. Before long the business had grown beyond the confines of a home based business, and a move into a rented space in Wauwatosa became necessary. By 1989 W.J. 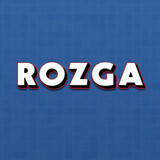 Rozga Plumbing Company became Rozga Plumbing Corporation. Growth steadily continued and in 1997 we purchased and moved into our present location on a one acre property just South of Greenfield Ave. on 113th St. in West Allis, always wanting to stay local to our customers. Soon Bill's love of playing with trucks and excavators led to performing more excavation work and before long the underground sewer & water soon became an integral component of the business. Continued growth and opportunity in the early 2000’s brought about the addition of longtime friend Paul Pelczynski. This expansion of the business became our new HVAC division. Rozga Plumbing Corporation was changed to Rozga Plumbing & Heating Corp. Sadly though, this partnership was short lived. Paul unexpectedly passed away 18 months later, but HVAC division has continued on with great success and growing every year with the foundation he laid. Today, Rozga Plumbing & Heating Corp. can satisfy the needs of residential and commercial customers in all aspects of Plumbing, Underground Sewer & Water and HVAC. This diverse nature sets us apart from others in the business and allows our customers the ease of dealing with one contractor in a turn-key style of completing their projects. We take pride in our proven history of problem solving residential or commercial needs. Our customers have peace of mind knowing that they are dealing with a fully licensed, bonded and insured company. We are also a member of the Better Business Bureau and we encourage you to take a look at our outstanding record. We have been awarded multiple Angie's List Super Service Awards in all of our individual services for the past 5 years! Rozga Plumbing & Heating Corp. is still a privately held corporation by Bill and his wife these past 35 years. 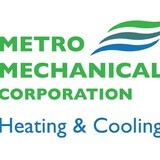 Family owned and operated for several decades, Metro Mechanical Corp is the premier leader in Heating and Air Conditioning services because we treat each home as if it were our own. We strive to provide your family with quality air products and services for heating and cooling. Our expert staff is ready at a moment’s notice for even the largest project to provide your family with comfort. Founded by Bob & Shirley Smith, Quality Heating of Brookfield, Wisconsin has been servicing Southeast Wisconsin since 1961. Today, Greg and Steve Smith continue to run the day to day operations, providing the personal touch of a family owned business. Our experts provide 24-hour emergency services and repairs. Our skilled HVAC technicians understand how important a healthy heating and cooling system is to your home or business. Rest assured, knowing that the trained professionals of Quality Heating will quickly assess your situation and determine the best solution. From small remedies to the replacement of your HVAC equipment, we will keep your home or business feeling comfortable. Some services that we provide include but are not limited to the service and installation of; furnaces, air conditioners, boilers, air purification, humidifiers, dehumidifiers, ERV and HRV equipment, wifi and programmable thermostats, ductless heating and cooling units, rooftop units, unit heaters, air handlers, and heat pumps. Pat's Heating serves as a heating and cooling contractor for residential and commercial HVAC customers in Southeast Wisconsin's Lake Country, including Oconomowoc, Chenequa, Delafield, Dousman, Pewaukee, Hartland, Ixonia, Merton, Wales and the Kettle Moraine area. We sell & service hi-efficiency forced air furnaces and central air conditioning, boilers, radiant and geothermal heating, high efficiency air cleaning systems and other indoor air quality systems to enhance your family's health & comfort. Full service heating and air conditioning repairs, maintenance, and installations. Family owned for over 50 years with the fastest response time in the area. 24 hour emergency service along with routine maintenance 6 days a week. What do HVAC contractors do? “HVAC” stands for “heating, ventilation and air conditioning.” An HVAC technician or contractor specializes in heating systems, air duct cleaning and repairs, insulation and air conditioning for your Kohler, WI home and other homes. Generally, Kohler HVAC contractors or HVAC technicians work with or run companies that repair or install heating systems and air conditioning units for homes. But they have specialized services too. For example, if you are a wine collector and you are thinking of installing a wine cellar in your Kohler, WI home, you might hire a Wisconsin HVAC professional who specializes in refrigeration work. HVAC professionals can use their skills to help you to save money on your Kohler, WI home’s energy bills by installing radiant barriers in your attic or split-zone heating and cooling systems to heat rooms like solariums while cooling upstairs bedrooms during warmer temperatures. Find HVAC contractors on Houzz. Look in the Professionals section of our website and search for Wisconsin HVAC contractors. Read reviews and see how an HVAC contractor might approach your Kohler, WI home’s heating and cooling challenges.